Spider-Man screencaps, movie stills and promotional images. 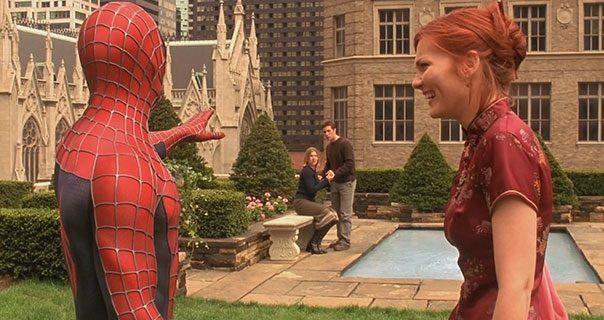 Actress Kirsten Dunst stars at the character Mary Jane Watson in the hit 2002 Spiderman film. Directed by Sam Raimi, the superhero movie sees Kirsten wearing a dark red satin cheongsam.